The second series of the popular BBC series Italy Unpacked is being filmed at the moment. 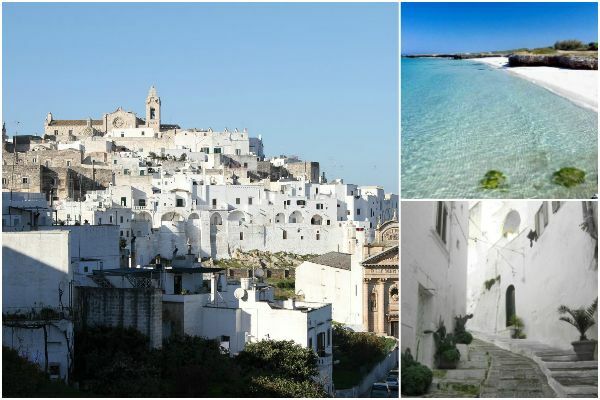 The crew have been in Ostuni in Salento – known as the “White City” – for a Puglia segment to be aired in January 2015. Italy Unpacked is presented by art critic Andrew Graham-Dixon and Italian chef Giorgio Locatelli and is a mix of history, culture, food, art and landscape. They have been filming in the Baroque city centre as well as Antica Masseria Brancati. Graham-Dixon and Locatelli have visited ancient olive groves and an olive mill and filmed local folk group La Stella as part of their quest to share Italy’s hidden gems with the British viewing public.